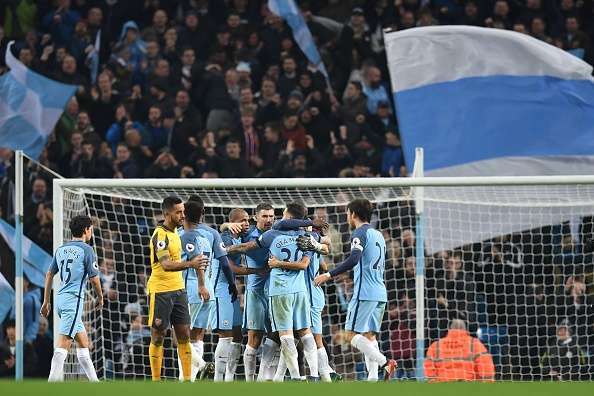 Manchester City roared back to form with an enthralling 2-1 victory over Arsenal at the Etihad Stadium on Sunday evening. Meanwhile, the weekend just got worse for the visitors as they squandered a 1-0 lead, as in the previous game. Not enduring a defeat in their previous six meetings with the Manchester City in all competitions, Arsene Wenger would have hoped for another positive outcome but it just wasn’t their day. 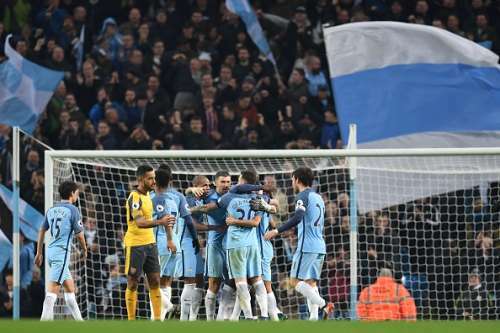 Theo Walcott broke the deadlock for Arsenal in the first half, giving Guardiola a shocker as early as the fifth minute, courtesy of City’s shambolic defending in the first half. But it was the fightback and the determination in the second half that led the home side to bag all three points in the end through goals from Leroy Sane and Raheem Sterling. A huge home win means that the Citizens now trail table-toppers Chelsea by seven points after 17 games. Meanwhile, Arsenal moved to fourth spot, just a point above Tottenham Hotspur. Here’s how the players fared in he big clash. The Chilean couldn’t do much about Theo Walcott’s opener as his teammates failed to match Arsenal in the first half. Bravo was left untroubled for most of the game, as the visitors failed to register a shot on target after the 5th-minute effort. Unsuccessful in keeping Alex Iwobi and the rest of the attackers quiet in the first half, Zabaleta did not even have the freedom of charging forward. He was subbed off in the second half, as the Argentine suffered a knee ligament damage. The Argentine showed a lack of positional sense for Theo Walcott’s opener left and was left scratching his head in the first half. He did make up for his mistake with a dominant and aggressive display in the latter half of the game. Kolarov played in the centre-half position and looked shaky and dreary against the opposition’s frontline. He got better as the game progressed. 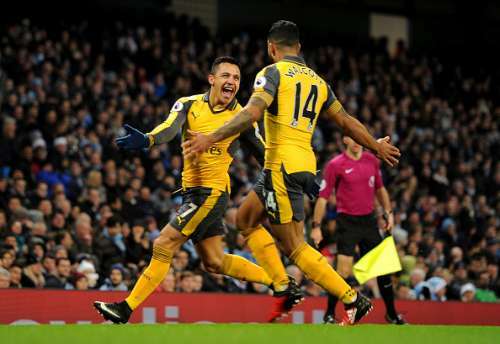 The former Arsenal man could not stop the threat that Arsenal posed from the left initially, mainly through Alexis Sanchez, but displayed a more complete performance in the second half, defending and providing support forward. The Brazilian anchored the Manchester City midfield in the big game and played a pivotal role in City’s comeback. He screened the defence and maintained the flow of the game. An outstanding display from the big Ivorian. Once his side changed gears, Toure was a key figure in his side’s offensive duties. He strung some neat passes and retained possession with his effortless gameplay. A magical performance from the Spaniard, he linked up play in the Manchester City midfield and exposed the Arsenal backline with his simple yet influential gameplay. He assisted Sane for the equaliser with an exquisite through ball. While his equaliser may have left Arsenal fans displeased, after being marginally offside, credit should be given for a well-taken goal. Proved to be a menace for the Arsenal defence playing centrally in the second half, and showed the quality and the potential that he has. The wonderkid’s first significant display in a City shirt. Sterling missed a crucial header in the first half, and was deployed as a false 9 in the first half of the game. He played a significant role in the second half, scoring the winner with a neat finish to give his team three big points. An absolute treat to watch him play, he put in an influential display in the second half. From maintaining possession to threatening on counter attacks and delivering sublime final balls, De Bruyne was the mastermind behind City’s attacks. Man of the match! 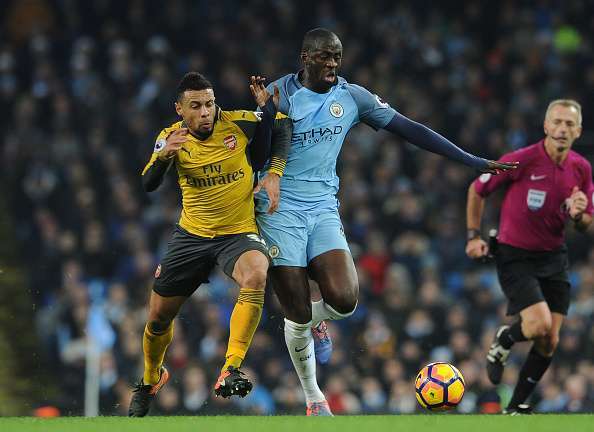 Sagna was steady at the back from the vulnerable Zabaleta after being subbed on in the second half. He provided stability on the right and had a trouble-free outing. Navas contributed on his side and continued to build up play in an attempt to expose the Arsenal defence. The young Nigerian was brought on late and had no significant impact on the game. Bellerin was involved in the opening goal as the Spaniard outpaced former Arsenal man Clichy down the right wing. Didn’t look his best as Arsenal were on the back foot in the second half. A captain’s performance in the first half, the Frenchman led from the back, but looked apprehensive in the second half with City’s quick passing and movement. The Brazilian was left flummoxed and unaware as the City midfield switched positions upfront swiftly. His chaotic showing in recent times has shown why the Gunners are ruing over Shkodran Mustafi’s injury. Monreal was no match to the pace that Manchester City offered on the right flank, and gave away opportunities for the hosts to break. The Frenchman produced vital interceptions as a holding midfielder, clashing with Yaya Toure on multiple instances. Did not replicate his performance in the second half, as it was dominated by the men in blue. A lot was expected from the Swiss star, but he didn’t look comfortable tracking back and failed to keep hold of the ball on occasions. A reunion on the cards? A matter of time. Sanchez was the only livewire in the Arsenal attack as he tried to dance his way past blue shirts with his speed and trickery. Provided an assist for the opener, but struggled as he got injured. Went completely missing in a big game again. The German playmaker failed to provide his side the cutting edge which was needed from him. Will find it hard to silence his critics temporarily. 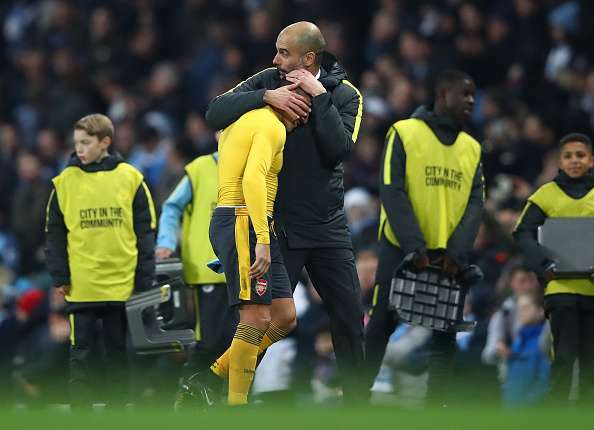 Troubled veteran Zabaleta in the first half of the game, showing why Wenger gave him a deserved starting place. Faded as the game went on, just like his team-mates. The Englishman’s swiftness troubled Otamendi in the first half, providing the visitor’s the early lead with a neat finish. He was unsuccessful in getting his feet going as the game progressed. While the Frenchman has proved to be a saviour with his performances off the bench, he couldn’t make an impact on this game. He wasn't provided assistance from his teammates to help them grab the equaliser. The Englishman was subbed on in the 65th minute for Iwobi due to an unfortunate injury, but Chamberlain did not have an impact on the game. 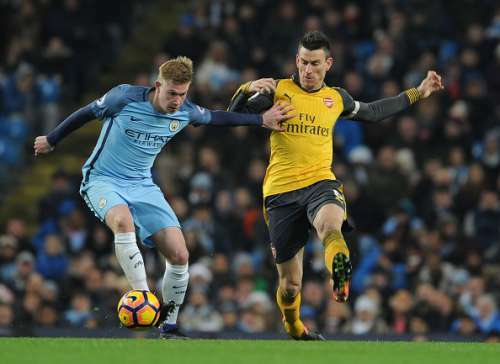 The game had already slipped from his side’s hands when he came on, but he could not prevent the City midfield from marching forward. The Egyptian also received a booking late on.